Newcastle 2-1 Chelsea: Chelsea were not good enough. I wrote in my pre match blog post that this game was our toughest to date without Nemanja Matic and I am sorry to say that Chelsea we nowhere near good enough and were beaten by two goals from Papis Cisse. Shocking defending for both goals with Chelsea's possession not being quick enough, we cannot complain about the result really can we! I have said this time and time again. When Chelsea are at their best, they attack teams with a high tempo and force them on the back foot, not giving them time to get bodies back to defend. This afternoon, Chelsea did the total opposite and we struggled time and time again to find that killer ball as Newcastle sat deep. There were too many players who were never really up and at it this afternoon. If anything, they looked tired and in need of a rest. Eden Hazard didn't have his best game, Diego Costa the same and it was only when it reached desperation stages with time running out that we looked like scoring. As for the two goals we conceded, our defending was shocking. The first should have been cleared by Gary Cahill who made a total balls up of his attempted clearance and deflected the ball right into the path of Cisse who tapped home from six yards. 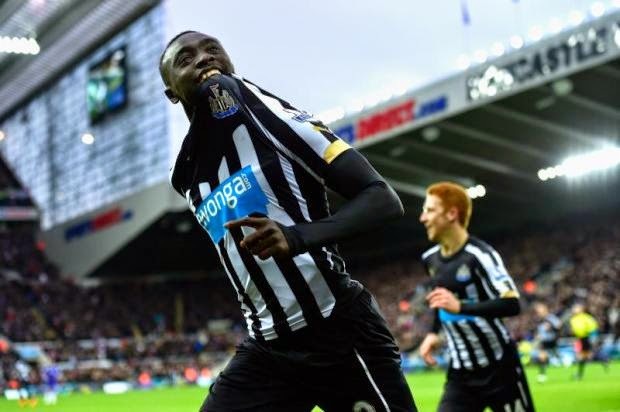 The second, Newcastle hit Chelsea on the counter attack as we pushed men forward and again, Cisse found himself unmarked as everyone became attracted to the ball and he slotted home for a second time to put the home side two goals to the good. Cesc Fabregas' free kick late on was headed home by Didier Drogba for another assist but the game comes as a cost for the Spaniard as he collected his fifth booking of the season and will miss Hull next week via suspension. Chelsea were not good enough in all areas today and were hit twice by a sucker punch to put an end to our unbeaten run. Now, all the talk of being invincible can stop and we can concentrate on one game at a time. Let's hope this gives us a kick up the arse that it looks like we need. I predict plenty of changes for the Champions League this week as based on that performance, there are at least four or five that could do with a rest.